We transport you to & from your exciting golf days with pre booked tee times leaving you plenty of free time for relaxing, sight seeing or devising a system to beat the Roulette Wheel at Jupiters Casino. The choice is yours. 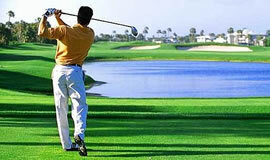 Gold Coast Golf Tours are proud of our quality golf tours. 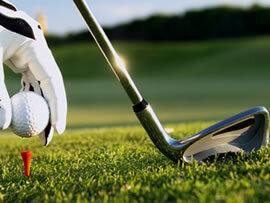 Gold Coast Golf Tours are committed to making your visit hassle free. Your airport pickup in our air conditioned coach takes you to your accommodation. The magnificent resort courses all have on course professional tuition and equipment hire available to maximise your enjoyment. We will pre book all your requirements. Simply call us on 0412 115704 and we will get you on the course.